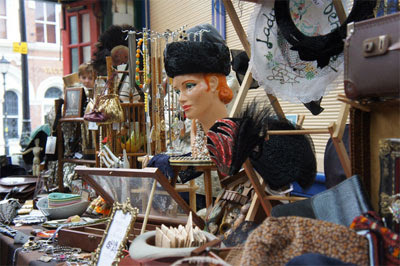 @Anne_L_Kershaw's amazing "Vintage Village stash," featured on her blog. 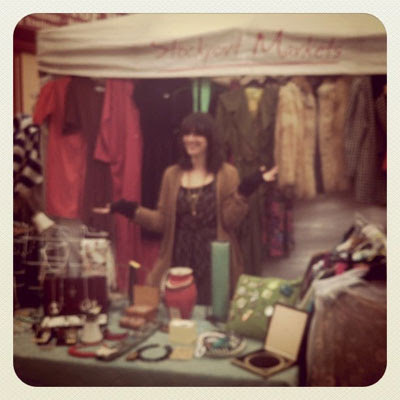 @ktpop appears to have been hit by a fog bank after setting up her stall! 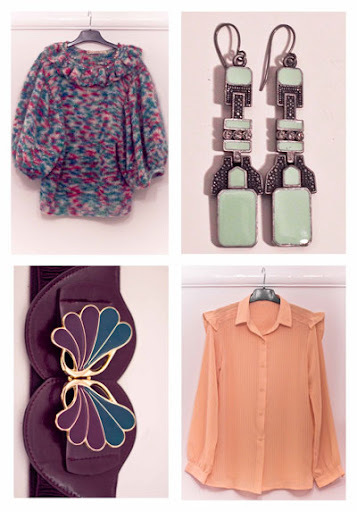 @LittlestMy returns with "My ace purchases from Vintage Village." 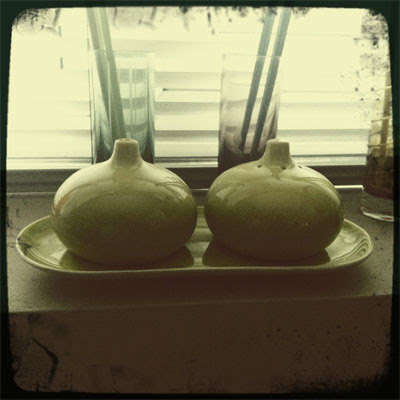 @LOTTIEatFLUKE found this lovely, oniony salt'n'pepper cruet set. 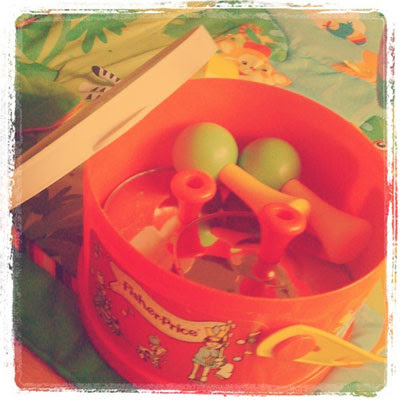 @ladybehave: "Fisher Price drum complete with cymbals, maracas & tambourine (may live to regret it?)" 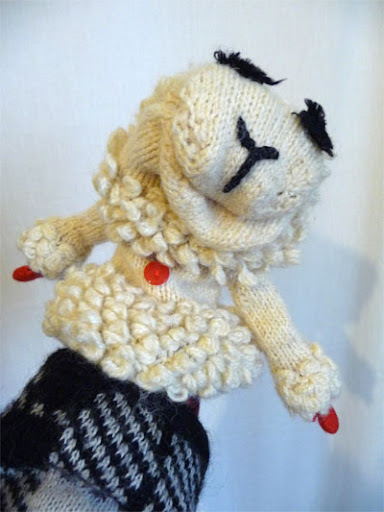 TinTrunk treated herself to this hand-knitted Lambchop puppet from Maria Theodorou (and then played with it all day doing bad Shari Lewis impressions). 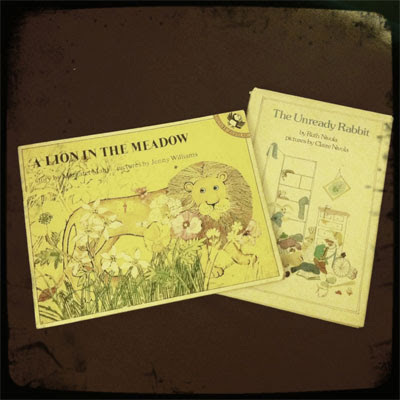 @LOTTIEatFLUKE found some adorable vintage children's books. 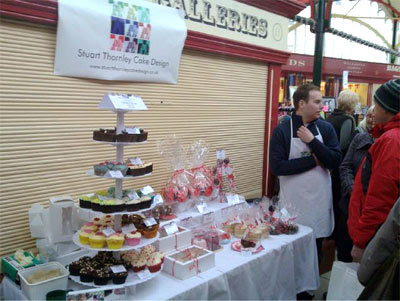 @STCakeDesign: "Our Vintage Village stall before the rush . 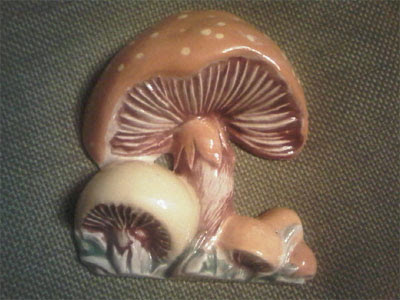 . ."
@AgnesDarling found this ceramic mushroom wall plaque: "So kitsch I love it!" 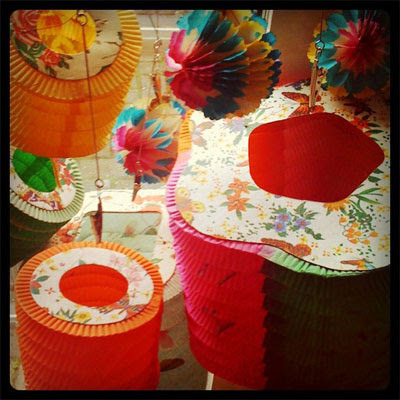 @ladybehave: "a collection of paper lanterns to be hung over Arlo's crib." 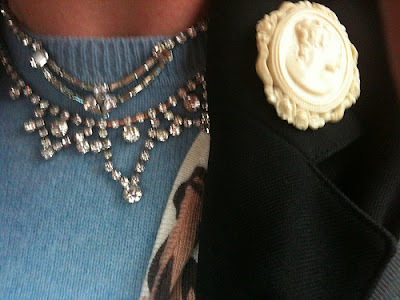 @ElsieAnderton found two beautiful diamanté necklaces and a very elegant white plastic cameo brooch. 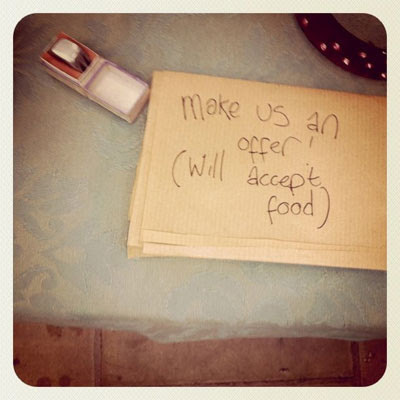 Read about her day's browsing (and the traumas which preceded it!) here. 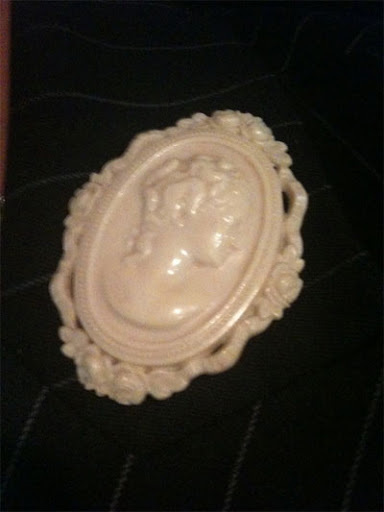 A close-up of @ElsieAnderton's cameo brooch. 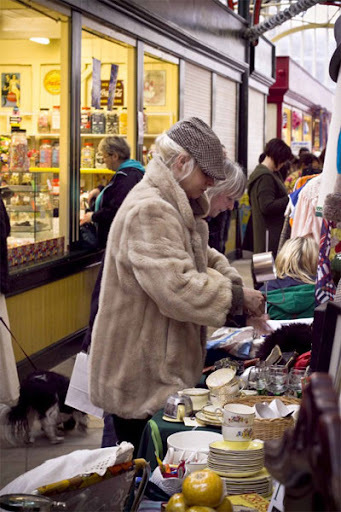 @Anne_L_Kershaw captured this portrait of one of our stallholders hard at work tittivating. 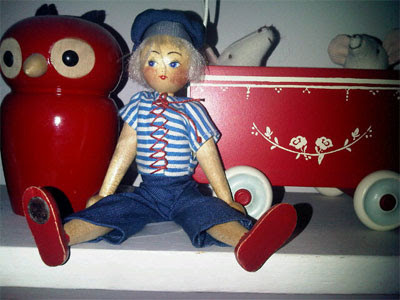 @nought2niche found this cheeky Polish wooden peg doll. 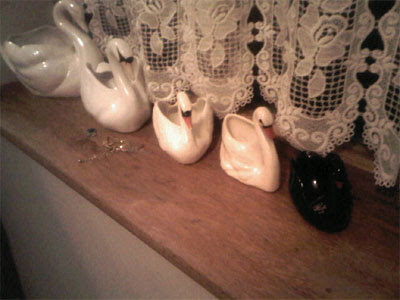 @AgnesDarling found one of her vintage 'Holy Grail's, a black swan planter. @AllieJohns took a great shot of this stall: Lady, Behave! 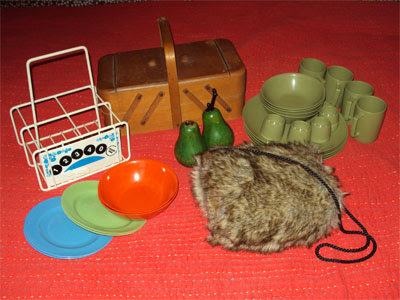 goodies at the right, then TinTrunk's to the left.